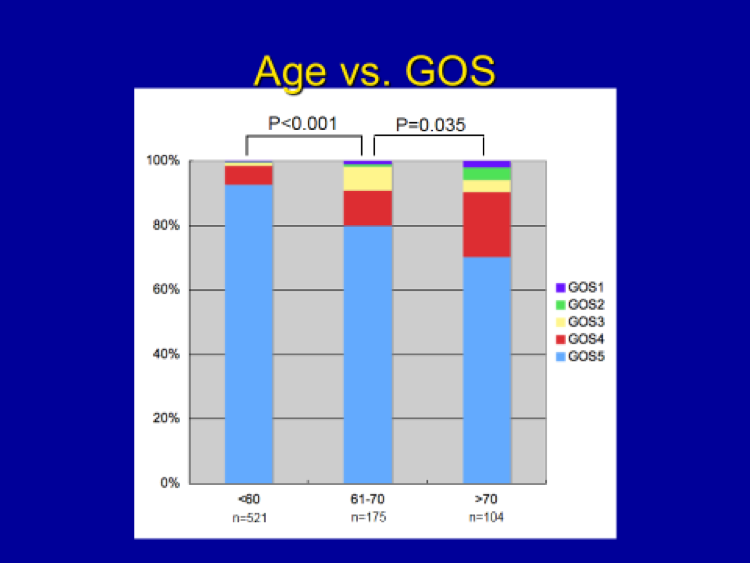 The incidence of “normal” patients (GOS 5) goes down significantly from the Group I to II, then from II to III. Young patient (<60) do very well from meningioma surgery, while older patients fared less optimally. In short, age also does matter in how well patients fare following meningioma surgery.